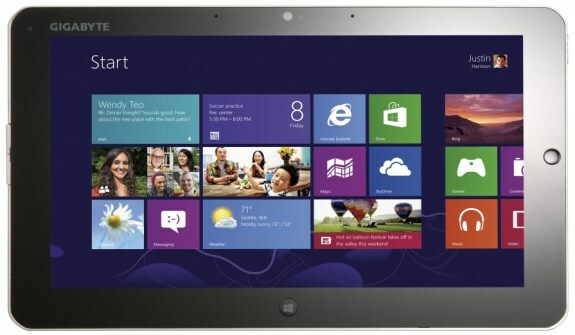 Mobile Geeks published details about the new Windows 8 tablets that Gigabyte revealed at CES 2013. This includes the S1185, a 11.6" Full HD IPS tablet with Windows 8, an Intel Ivy Bridge processor, VGA & HDMI outputs, magnetic keyboard, mouse buttons, optical finger navigation when in PC mode and two cameras. Head over to Mobile Geeks for details about the other tablet, the S1082 Slate.